As the list of American wines I've sampled has grown larger, those remaining to be tried have proven to be hard to corral. Louisiana is one of the states that has been quite elusive due to a dearth of wineries and shipping restrictions. However, I managed to find Louisiana wine on a recent trip to New Orleans. But, just barely. With only a small handful of wineries in the state, some using California grapes or other types of fruit from Florida, it's a bit difficult to find true Louisiana wines. I had hoped to try a Blanc du Bois wine, made from a grape that does well in Louisiana's hot, humid climate, but it stayed out of reach. 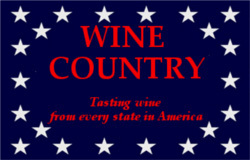 The state is included in the Mississippi Delta AVA, but most of the grapes grown in that region are Muscadine. My chance to sample didn't come from Brennan’s restaurant, where they make a sauce from a Landry Vineyards blueberry wine. They wouldn't pour that wine and couldn't tell me that it was made from Louisiana-grown berries, so it's likely that it wasn't. Landry does make an array of wines using Louisiana-grown Blanc du Bois grapes. My break came at NOLA Tropical Winery, a tasting room in the mall at the end of the New Orleans Riverwalk. I was told their extensive line of fruit wines are made with out-of-state berries and such, but they do carry some genuine Louisiana-grown grape wines, as well as Louisiana wines made from Muscadine grapes and a Port-style fig wine. They offer free tastings, by the way. 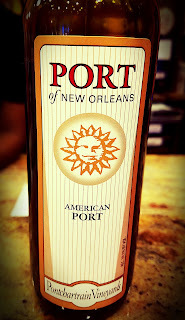 That's actually a really nice Port-style wine from Pontchartrain Vineyards. It's made from figs that I was told are grown in-state. It smells good and Port-ly and tastes, well, figgy. A nice finish lasts a good while. Tasty and fun. The two wines made from Louisiana Muscadine grapes are better than that type that I’ve had before. 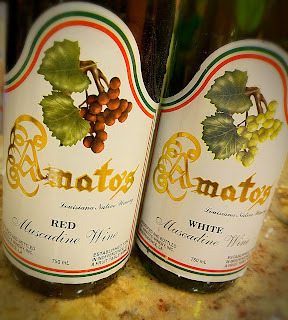 They come from Amato's Winery in the town of Independence, a bit north of NOLA. Still earthy quaffs, they have a little less of that foxiness found in some North American grapes. I don't care for the flavor on Muscadine, but the wines are well made. Muscadine vines are resistant to the diseases of humidity, which makes them useful in the south. 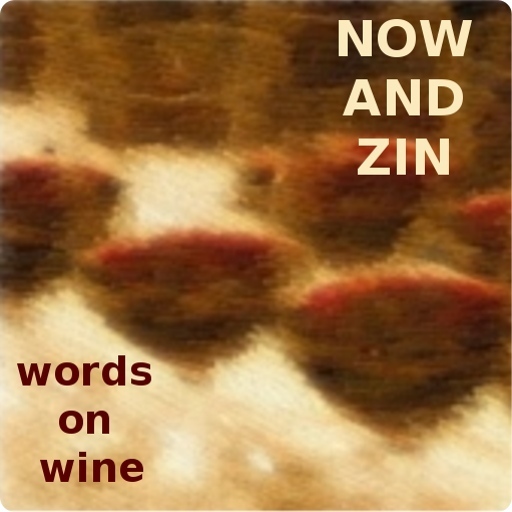 They are wines I would recommend only to the adventurous, or those who are familiar with the style. I was told that even their fruit wines are made with berries sourced out-of-state. They do, however, have some wines made by Pontchartrain Vineyards.